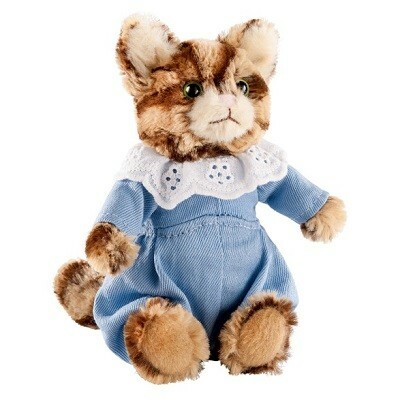 This Tom Kitten soft toy is made from beautifully soft fabric and is dressed in clothing exactly as illustrated by Beatrix Potter, with his signature blue trousers and jacket. The Peter Rabbit collection features the much loved characters from the Beatrix Potter books and this quality and authentic soft toy is sure to be adored for many years to come. This product is suitable from age 1+, hand washable and CE marked.